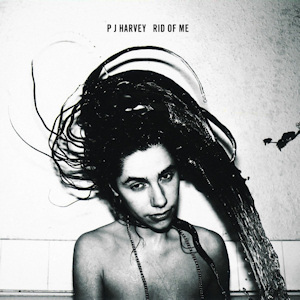 More nonsense is talked about Stories than any other of PJ Harvey’s albums. It was her ‘New York’ album. It was her discovery of positivity and optimism. It marked a new departure in her career. It certainly brought her commercial success beyond anything she’d experienced thereto. But how different it might have been had Harvey and Maria Mochnacz managed to get the photograph they wanted used for the record sleeve: a full-face portrait of the singer with an expression somewhere between boredom, belligerence, and irony, wearing a necklace of bits she’d picked up from the beach outside her house: feathers, shells, and bones. 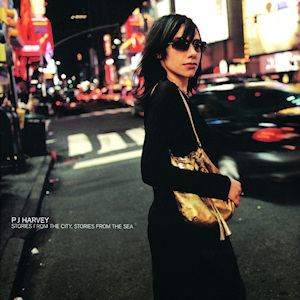 Island threw their hands up in horror and in a huff the friends supplied instead a prosaic snap of Harvey in New York wearing shades with a gold handbag, scornfully describing it as ‘Posh Spice out shopping’; from then the die was cast. In fact Stories is a recording of deep ambiguity and conflict, as well as beauty, and you wonder how anyone could be inattentive enough to miss it. True, Harvey herself wanted it to be ‘my beautiful, sumptuous, lovely piece of work’, and that ambition brilliantly succeeds. The music is far more conventional than any of her previous work, but it glimmers and shimmers like light on water or wet streets, raising even the weaker tracks way above the ordinary: everywhere there are touches of the unusual, moments of delicate beauty to enjoy. There are the low, comforting harmonies supplied by Thom Yorke on ‘Beautiful Feeling’; Rob Ellis’s piano on ‘This Mess We’re In’; the gentle, bell-like music of ‘Horses In My Dreams’, which provides dreamy accompaniment to the vocals that are in fact anything but glossy and smooth; the harpsichord on ‘Big Exit’. Beneath the apparent conventionality, there’s a lot going on. 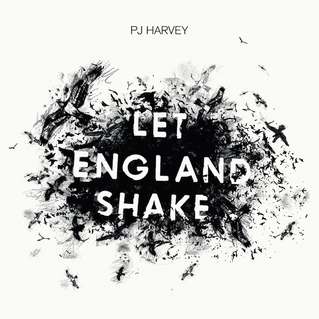 And where the songs are positive, they are gloriously so, made all the more moving by contrast with the horrors of Harvey’s previous output, which many people who bought the album could hardly have known about. ‘Good Fortune’ is euphoric, dancing, a deeply sophisticated love song: ‘things I once thought unbelievable in my life have all taken place’, Harvey sings as she watches her own love reflected in her lover; ‘I feel like some bird of paradise … Everyone’s got something good to say’. ‘You Said Something’ again sets love amidst the skyscrapers, and ends with masterful bathos ‘you said something that was really important’, leaving the listener to write their own story. ‘I have pulled myself clear’, she exults on ‘Horses in My Dreams’. But there are other currents running in this river. The fun, rocky ‘Kamikaze’ takes us almost back to Dry territory, but polished and glossed, with its imagery of a protagonist fleeing from unwanted attention. More strikingly, ‘Big Exit’, ‘A Place Called Home’, ‘One Line’, ‘This is Love’, and ‘We Float’ are all built around the idea that romantic love offers a defence against the distress of a fallen, conflicted world, and at no point does love win a decisive victory. The raucously lustful ‘This is Love’ (‘I can’t believe life’s so complex/When I just want to sit here and watch you undress’) turns serious by placing desire in a cosmic context: ‘I can’t believe the axis turns on suffering when you taste so good’. ‘We Float’ builds the conflict into the music itself, balancing the blissful refrain with anxiety for the protagonists’ future: ‘Will we die of shock/Die without a trial/Die on Good Friday/While holding each other tight’. The very opening track is about suicide, or if not, at least about fear and running away. 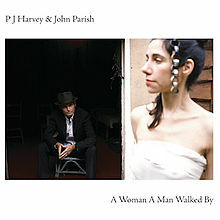 Against a punching, pounding accompaniment, Harvey sings about seeing ‘children – dead-end lives … I just feel like it’s the end of the world’ and although she’s ‘immortal’ when she’s with her lover, that doesn’t help her to find ‘a safe place to stand’, whether on the concrete of America or the sand of Dorset. ‘I want a pistol in my hand/I want to go to another land’. Look, it’s called ‘Big Exit’: those are the feelings to whose service the scintillating beauty of Stories is being put. ‘The Whores Hustle and the Hustlers Whore’ is luscious, but cynical and vicious too, depicting a world of waste and violence and demanding hope where there is no hope: ‘Speak … of how you’ll keep me safe from harm … I don’t think so, I don’t see’, Harvey sneers at a false comforter, perhaps even God himself. 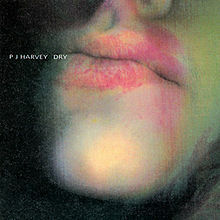 Only those who bought the UK and Japanese versions of the album got to hear Harvey’s final word on it: the bonus track ‘This Wicked Tongue’, isolated from ‘We Float’ by a minute and more of silence like an infectious patient on a ward. Hard, loud, angry, this song flings against God the same accusations of absence and silence as on ‘Whores’ but also locates the conflict inside the singer, whose ‘wicked tongue’ wants to curse the cosmos and brings guilt and rage (‘the noise is as much as I can bear’). ‘I asked him where’s the heart/In the rubbish heap of man … And the silence rang and rang and rang’. Finally God, or whoever speaks for him, admits defeat: ‘I give up, he said/I give up, you win/Creation, baby, has failed again’. Ultimately, despite her blissful moments, Harvey can’t surrender the suspicion that the axis of creation may well turn on suffering. The argument between love and despair around which Stories is constructed does not end here. These tracks fall into three groups. First, there are a number characterised by the same sort of jangly guitar work found on Stories, whether they are b-sides to singles from that album or not. These are ‘Memphis’, the passionate tribute to the late Jeff Buckley; the lament for a failed relationship, ’66 Promises’, with its protagonist reaching the cynical and sad conclusion ‘now I see how things really are’; ‘My Own Private Revolution’, a very uncharacteristic, slightly awkward track made interesting by the sense that it’s encoding something personal; the painfully angry, acoustic ‘Kick It to the Ground’; and ‘Nickel Under the Foot’, a cover of a 1937 musical number which Harvey contributed to the soundtrack for the 1999 movie The Cradle Will Rock which fictionalised the writing of the musical from which it came. The last two feature lyrics dramatic and disagreeable enough to dispel any suggestion that she might have gone soft, even if she wasn’t actually responsible for ‘Nickel’ (‘Liverpool Tide’, released years later, belongs in this group too). Secondly, there’s a couple of tracks which aren’t guitar-driven: ‘30’, apparently arising from the singer reaching that age and featuring some tense, quiet cymbal-brushing even if it feels a bit underworked; and the gentle, shimmering love song ‘As Close as This’, decorated with religious imagery. 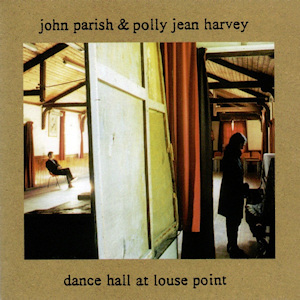 The final group of songs are the ones Harvey made participating in Josh Homme’s Desert Sessions in 2001. Although she sang or played on virtually the whole resulting album, there were three tracks which she both wrote and performed, even if the other musicians provided the orchestration. Punctuated by electronic bleeps, the staccato ‘Powdered Wig Machine’ is as peculiar as its title. ‘A Girl Like Me’ is a dark creation in which most of the lyrics are spoken or intoned with a moderate distort, and concludes with the macabre image of the singer in a room which ‘I might never leave again’, surrounded by faded photographs and ‘painted ladies’. 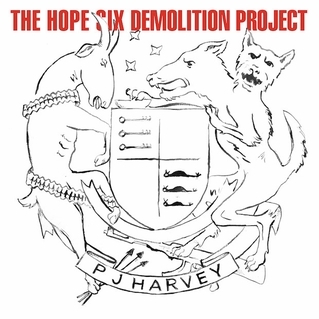 Finally, there’s the extraordinary ‘There Will Never Be a Better Time’ which is nothing more complex than Harvey’s vocal and Chris Goss’s frantic guitar – but what a vocal, a steamrollering Hispanic wail that swoops up and down like some ill-omened bird and at one point dips to what sounds like a G on the bass clef. Astonishing.